Somehow I have put this in under elegans as well. 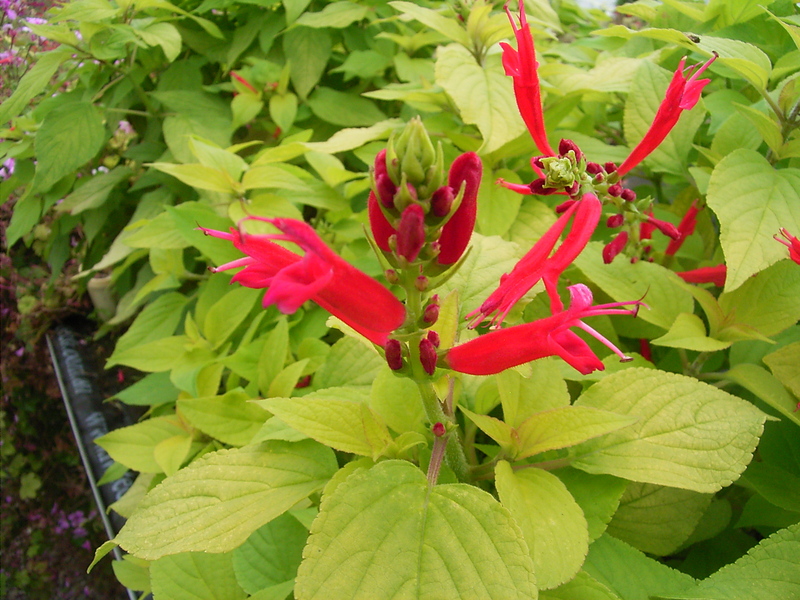 This is a golden foliaged pineapple sage only available this century. It can grow to a metre and will sucker lightly. Could be frost tender with hard frost. The foliage has the same pineapple smell. 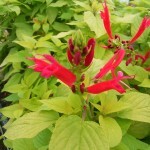 flowers are red. Colours best in sun.